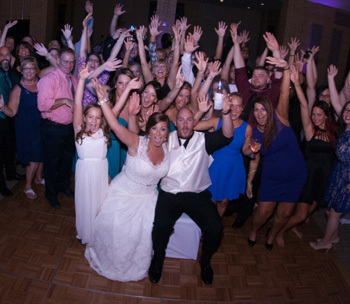 By offering a variety of delicious foods and drinks in popular venues across the metro Detroit area, we set the stage for your dream wedding. At Kosch Catering, we are experts at planning menus for all sorts of Michigan weddings, from champagne brunches to barn weddings to full wedding catering formal black tie events. 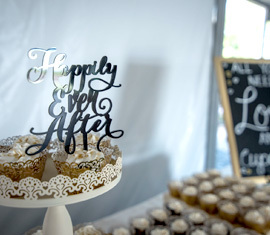 Our catering experts will work closely with you to learn the schedule and details of your wedding. After that, we will create a menu that fits the needs of all of your attendees while staying within your budget. We always deliver delicious food, but we also take great pride in our ability to exceed our customers’ expectations. We find that more and more of our clients express the need for a menu that meets the needs of people with various dietary restrictions. To throw a successful event that pleases everyone in attendance, you need an experienced caterer like Kosch Catering. From beautiful architecture to comfortable furnishings to lots of space for dining and dancing, Michigan has no shortage of great reception halls and scenic venues for your Michigan wedding. But choosing your favorite venue is just as important as the catering that comes with it. As the preferred caterer for countless reception halls and other wedding venues in Michigan, we offer a variety of delicious foods and drinks in halls across the Detroit area. We guarantee we’ll deliver an experience your guests won’t forget! We Are the Preferred Caterer for Some of the Best Wedding Venues in Michigan! Kosch Catering has more than 36 years of experience catering weddings and other big events all over Southeast Michigan. This means that we have experience with a wide selection of reception halls. By taking good care of these event venues during past catering jobs and maintaining good relationships with the owners, we have achieved and kept preferred caterer status for some of our state’s most coveted wedding spots. Preferred caterer status means you can count on us to know when a venue is available and do everything in our power to help you reserve it. It also means that when we cater the event, we will know how best to lay the food out and get it to you on time. This ensures a convenient, timely dining experience for you, your spouse, and all your friends and family. Great wedding catering doesn’t just mean providing the foods you want in the reception hall you have dreamed of. It also means getting those foods fresh, which is why Kosch Catering times our deliveries with care. We plan our route to your venue in detail, determine the best time to leave, and get there with enough time to serve everyone but not so much time that your food will get cold. We also have the equipment necessary to warm, cool, or otherwise preserve your food, so it remains fresh and delicious no matter how long the wedding and after-party take. Food Selection; We serve a wide variety of different flavors, allowing you to choose the one you and your guests will enjoy the most. We can accommodate any dietary restrictions and are happy to take special requests. Flexible Timing; We can cater your wedding at any time, day or night. Location Variety; Our off-site catering team can travel to any wedding venue in the metro Detroit area, no matter its location. This leaves you free to choose the reception hall that suits you best. To learn more about our catering and reception hall options or begin planning your wedding, contact Kosch Catering today.